YMCA and Mullingar guaranteed big days out on Saturday afternoon as they reached their respective Irish Hockey Challenge finals with wins over Clonmel and Saintfield, respectively. It will be YM ladies’ first ever national cup final after just three years in existence and they will hope to add the major silverware to back-to-back league titles. They disposed of Clonmel 4-0 to reach the final where they will meet Fermoy who edged a thriller over Naas, 4-3 after extra-time. Division four’s Mullingar will be looking for a similar piece of history with a first national title. They won in Ulster for the second round running, beating Saintfield 3-2 with influential midfielder Tom Bowers scoring one and Colin Watters bagging a brace. Elsewhere, Pembroke II maintained their hopes of retaining the Irish Junior Cup, putting their league form behind them to beat Corinthian II 2-0 – veteran Duncan McKeen and Scott Lowrie getting the goals. They now face a Sandymount derby in the semi-finals against YMCA II. Glenanne, should they get by an impressive Cork C of I B team next week, will have to travel to Cookstown for a last-four encounter. 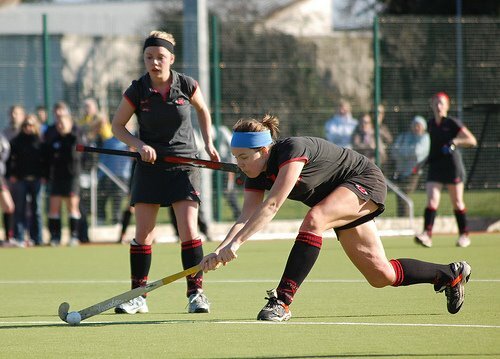 Genesis, meanwhile, were eliminated from the Irish Hockey Trophy at the semi-final stage after an odyssey-style season had seen them travel all over the country. Their hopes were dashed by Catholic Institute who ran out 3-0 winners.